Ever since they first set foot on the North American continent, humans have explored, discovered, established boundaries—and subsequently invaded—all across the territory we now call the United States. In America Invaded, we track some of the many explorations and invasions that founded or destroyed towns, that set and reset state lines, and that shaped the peoples and culture of this nation. Follow along as authors Christopher Kelly and Stuart Laycock take you on a state by state guide of US military history and little known regional facts. 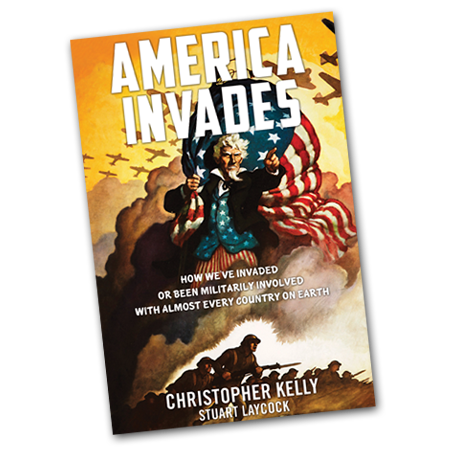 The first book in the “historical invasions” collection, America Invades, explores how we Americans have invaded or been militarily involved with almost every country on earth. Learn more about the book at AmericaInvaded.com. Follow us as we tour the nation in the “Invasions” van coming to a town near you. 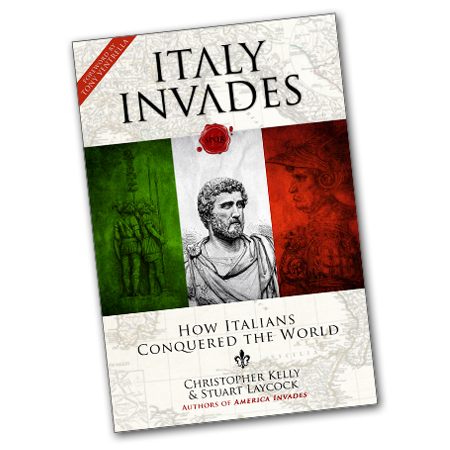 You can also listen to Chris on radio interviews as he tells the America Invaded story coast-to-coast. 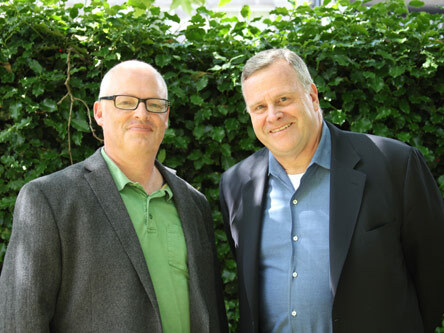 Christopher Kelly and Stuart Laycock have been friends for several years, sharing many pints of ale and their thirst for military history. The fellow historians have a common knack for wit and uncovering the little known facts surrounding the subject matter in each of their books. COMING SOON: Our helpful glossary of online maps with state by state guides to museums, historic sites and interesting places to visit. 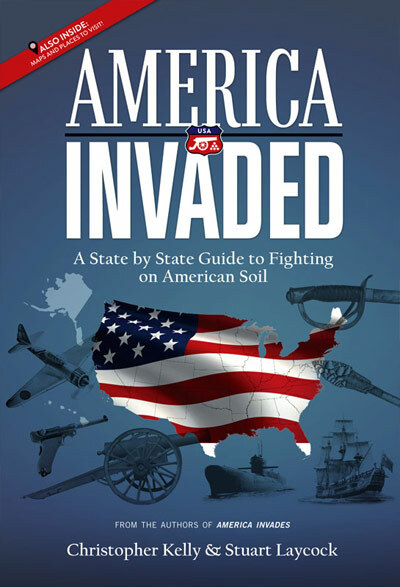 Be sure to check out the America Invaded book for full color maps and photos. Check back as we post more new stories, photos and video from the road while on tour across the country. You can also sign up for our newsletter below for updates, contests, and timely promotions! We welcome your comments and questions. Please send us an email and we’ll be sure to get back to you right away. For a limited time, sign up for our monthly email newsletter and provide us your mailing address below and we’ll mail you a limited edition sticker bookmark!